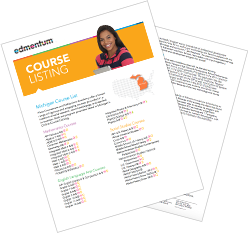 Edmentum offers a broad range of rigorous and engaging courses through Edmentum Courseware and EdOptions Academy. Explore your options below. This course advances the ability of students to think algebraically, taking them from middle school work with variables and linear equations to the exploration of non-linear function types and more advanced calculations with variable expressions. Students will work with expressions, equations, inequalities, and functions. The course places considerable emphasis on identifying key features of functions in various forms, such as graphs, tables, and equations. It also fosters an understanding of functions as relationships that help people in many walks of life calculate and plan. The course brings these concepts to students in many forms, including interactive graphing, videos of solving problems, and many practice items. This course advances students’ ability to think algebraically, taking their earlier work with linear, exponential, and quadratic equations and expanding on it with polynomials and more advanced equation types. Students will work with rational, radical, logarithmic, inverse, and piecewise functions. They will also extend their studies to include systems of equations and inequalities, trigonometry, complex numbers, and statistics. The course emphasizes using these algebraic concepts to solve problems and help people in many walks of life. The course employs many tools to teach students these concepts, including interactive graphing, videos that walk through problems, and many practice items. This course explains how four basic mathematical operations – addition, subtraction, multiplication, and division – can be used to solve real-life problems. It addresses practical applications for math, such as wages, taxes, money management, and interest and credit. Projects for the Real World activities are included that promote cross-curricular learning and higher-order thinking and problem-solving skills. Financial Algebra is designed to instruct students in algebraic thinking while also preparing them to navigate a number of financial applications. Students will explore how algebraic knowledge is connected to many financial situations, including investing, using credit, paying taxes, and shopping for insurance. In studying these topics, students will learn about the linear, exponential, and quadratic relationships that apply to financial applications. In addition, the course will help prepare students to tackle the wide variety of financial decisions they will face in life, from setting up their first budget to planning for retirement. These two semester-long courses are designed to enable all students at the high-school level to develop a deep understanding of the math objectives covered and leave them ready for their next steps in mathematics. The courses are built to the Common Core State Standards. The three units in Semester A advance students through the study of single-variable expressions to systems of equations, while Semester B covers functions, advanced functions, and concludes with a practical look at the uses of geometry and trigonometry. Building on the concepts covered in Integrated Math 1, these courses are based on proven pedagogical principles and employ sound course design to effectively help students master rules of exponents and polynomials, advanced single-variable quadratic equations, independent and conditional probability, and more. Online and offline activities combine to create an engaging learning experience that prepares high school learners for their next step in their studies of mathematics. Beginning with the simplification of rational and polynomial expressions, Semester A takes students through the next steps in mastering the principles of integrated math. These two semester-long courses focus on meeting Common Core objectives with engaging and interactive content. Semester B begins with the derivation of the trigonometric formula for the area of a triangle, and proceeds through the use of functions and on developing the critical thinking skills necessary to make logical and meaningful inferences from data. This course is designed to enable all students at the middle school level to develop a deep understanding of math objectives and leaves students ready for algebra. The first semester covers objectives in transformations, linear equations, systems of equations, and functions. The second semester focuses on scientific notation, roots, the Pythagorean Theorem and volume, and statistics and probability. The course is based on the Common Core State Standards Initiative and on a modern understanding of student learning in mathematics. This course is designed for students in grades 11 and 12 who may not have attained a deep and integrated understanding of the topics in earlier grades. Students acquire a comprehensive understanding of how to represent and interpret data; how to relate data sets; independent and conditional probability; applying probability; making relevant inferences and conclusions; and how to use probability to make decisions. Business English is designed to strengthen students’ ability to read and write in the workplace. Writing for business purposes is a main focus of the course. Students will learn how to communicate effectively through email and instant messaging, as well as format specific types of business messages and workplace documents. The role of digital media, visuals, and graphics in workplace communication will be explored. The importance of professionalism, ethics, and other positive skills are also emphasized in the course. Additionally, guidance is provided to help students through the process of searching, applying, and interviewing for a job. This course provides a strong foundation in grammar and the writing process. It emphasizes simple but useful composition and language mechanics strategies with multiple opportunities for modeling practical, real-world writing situations that will enable students to improve their written communication skills quickly. Through a variety of grade-appropriate reading selections, students develop a clear understanding of key literary genres and their distinguishing characteristics. English 7 Integrates the study of writing and literature through the examination of a variety of genres. Students identify the elements of composition in the reading selections to understand their function and effect on the reader. Practice is provided in narrative and expository writing. Topics include comparison and contrast, persuasion, and cause and effect essays, as well as descriptive and figurative language. Lessons are supplemented with vocabulary development, grammar, and syntax exercises, along with an introduction to verbal phrases and research tools. Extends the skills developed in English 7 through detailed study of parts of sentences and paragraphs to understand their importance to good writing. Students also acquire study skills such as time management and improved test-taking strategies. Other topics include punctuation, word choice, syntax, varying of sentence structure, subordination and coordination, detail and elaboration, effective use of reference materials, and proofreading. English 9 introduces the elements of writing poems, short stories, plays, and essays. Grammar skills are enhanced by the study of sentence structure and style and by student composition of paragraphs and short essays. Topics include narration, exposition, description, argumentation, punctuation, usage, spelling, and sentence and paragraph structure. In keeping with the model established in English 11, these courses emphasize the study of literature in the context of specific historical periods, beginning with the Anglo-Saxon and medieval periods in Britain. Each lesson includes tutorials and embedded lesson activities that provide for a more engaging and effective learning experience. Semester B covers the romantic, Victorian, and modern eras. End of unit tests ensure mastery of the concepts taught in each unit, and exemptive pretests allow students to focus on content that they have yet to master. Interactive, problem-centered, and inquiry-based, each unit in Civics emphasizes the acquisition, mastery, and processing of information. Every unit features both factual and conceptual study questions, Instructional strategies include Socratic instruction, student-centered learning, and experiential learning. Topics covered range from Basic Concepts of Power and Authority and National Institutions of Government to analyses of society and citizenship. The Contemporary World is a year-long course designed to strengthen learners’ knowledge about the modern world. Multimedia tools including custom videos as well as videos from the BBC, custom maps, and interactive timelines will help engage learners as they complete this course. Learners will explore the importance of geography, the influence of culture, and the relationship humans have with the physical environment. They will also focus on the responsibility of citizens, democracy in the United States, U.S. legal systems, and the U.S. economy. Ultimately, learners will complete this course as global citizens with an understanding of how to help and better their community and the world. This course covers basic economic problems such as scarcity, choice, and effective use of resources. It also covers topics on a larger scale such as market structures and international trade. It particularly focuses on the US economy and analyzes the role of the government and the Federal Reserve System. 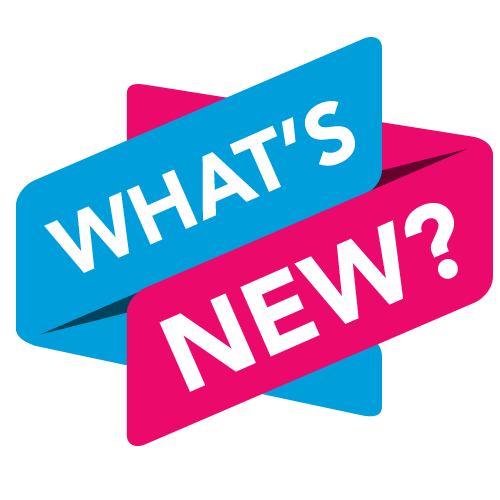 In Middle School U.S. History, learners will explore historical American events with the help of innovative videos, timelines, and interactive maps and images. The course covers colonial America through the Reconstruction period. Learners will develop historical thinking and geography skills, which they will use throughout the course to heighten their understanding of the material. Specific topics of study include the U.S. Constitution, the administrations of George Washington and John Adams, the War of 1812, and the Civil War. In Middle School World History, learners will study major historical world events from early human societies through to the present day. Multimedia tools including custom videos as well as videos from the BBC, custom maps, and interactive timelines will help engage learners as they complete this year-long course. They will explore the development of early humans and early civilizations. They will be introduced to the origins of major world religions, such as Hinduism and Buddhism. Also, learners will study the medieval period. Historical thinking and geography skills will be taught and utilized throughout the course. This course not only introduces students to early U.S. History, but it also provides them with an essential understanding of how to read, understand, and interpret history. For example, the first unit, The Historical Process, teaches reading and writing about history; gathering and interpreting historical sources; and analyzing historical information. While covering historical events from the founding events and principles of the United States through contemporary events, the course also promotes a cross-disciplinary understanding that promotes a holistic perspective of U.S. History. In World History, learners will explore historical world events with the help of innovative videos, timelines, and interactive maps and images. Learners will develop historical thinking skills and apply them to their study of European exploration, the Renaissance the Reformation, and major world revolutions. They will also study World War I, World War II, the Cold War, and the benefits and challenges of living in the modern world. In World History Survey, learners will study major historical events from early human societies through to the present day. Multimedia tools including custom videos as well as videos from the BBC, custom maps, and interactive timelines will help engage learners as they complete this year-long course. Topics of study include early civilizations, world religions, the Renaissance, the World Wars, and the globalized world of today. This inquiry- and lab-based course is designed to support modern science curriculum and teaching practices. It robustly meets NGSS learning standards for high school biology. Content topics include cells, organ systems, heredity, organization of organisms, evolution, energy use in organisms, and the interdependence of ecosystems. Each lesson includes one or more inquiry-based activities that can be performed online within the context of the lesson. In addition, the course includes a significant number of hands-on lab activities. Approximately 40% of student time in this course is devoted to true lab experiences, as defined by the National Research Council (2006, p. 3). Lab materials note: Most hands-on labs employ relatively-common household materials. A few labs require specialized scientific equipment or materials, such as a microscope, slides, or biological samples. These few specialized labs are optional but provide valuable laboratory experience. School laboratories may be used for these specialized labs or single-student Edmentum Lab Kits may be purchased from Ward’s Science. Please refer to the Student Syllabus or Teacher’s Guide for details on lab materials. This inquiry- and virtual-lab-based course is designed to support modern science curriculum and teaching practices. It robustly meets NGSS learning standards for high school biology. Content topics include cells, organ systems, heredity, organization of organisms, evolution, energy use in organisms, and the interdependence of ecosystems. Each lesson includes one or more inquiry-based activities that can be performed online within the context of the lesson. In addition, the course includes a number of virtual lab activities in which students will exercise experimental design, data analysis, and data interpretation skills while working through a simulated laboratory situation. Lab materials note: None of the virtual labs require specialized laboratory materials or tools. Some virtual labs do allow students to make use of common, household items—such as paper and a pencil—if they choose. This inquiry- and lab-based course is designed to support modern science curriculum and teaching practices. It robustly meets NGSS learning standards associated with high school chemistry along with additional concepts and standards typically included in a full-year high school chemistry course. Content topics include atoms and elements, chemical bonding, chemical reactions, quantitative chemistry, molecular-level forces, solutions, and energy and changes in matter. It also addresses additional concepts and standards typically included in a full-year high school chemistry course, including molar concentrations, acid-base reactions, advanced stoichiometry, gas laws, and organic compounds. Each lesson includes one or more inquiry-based activities that can be performed online within the context of the lesson. In addition, the course includes a significant number of hands-on lab activities. Approximately 40% of student time in this course is devoted to true lab experiences, as defined by the National Research Council (2006, p. 3). Lab materials note: Most hands-on labs employ relatively-common household materials. A few labs require specialized scientific equipment or materials, such as an electronic balance (0.01g), graduated cylinders, test tubes, and chemical reagents. These few specialized labs are optional but provide valuable laboratory experience. School laboratories may be used for these specialized labs or single-student Edmentum Lab Kits may be purchased from Ward’s Science. Please refer to the Student Syllabus or Teacher’s Guide for details on lab materials. This inquiry- and lab-based course is designed to support modern science curriculum and teaching practices. It robustly meets NGSS learning standards associated with high school Earth and space science. Content topics include scientific processes and methods, the universe, the Precambrian Earth, the Earth’s materials and tectonics, the hydrosphere and atmosphere, and human interactions with the Earth’s systems and resources. Lab materials note: Most hands-on labs employ relatively-common household materials. A few labs require specialized scientific equipment or materials, such as an electronic balance (0.01g), graduated cylinders, and a water testing kit. These few specialized labs are optional but provide valuable laboratory experience. School laboratories may be used for these specialized labs or single-student Edmentum Lab Kits may be purchased from Ward’s Science. Please refer to the Student Syllabus or Teacher’s Guide for details on lab materials. The lessons in this course employ direct-instruction approaches. They include application and Inquiry-oriented activities that facilitate the development of higher-order cognitive skills, such as logical reasoning, sense-making, and problem solving. Built on the same sound pedagogy and proven course design methodologies as all of our courses, Medical Terminology helps students understand the structure and meaning of medical terms and identify medical terminology associated with various body systems. As the health care industry becomes more and more complex, developing expertise in accurately and efficiently identifying medical terms and their specific application is essential to a growing variety of health care careers. This course begins to prepare your students for those careers. This course is designed to enable all students at the high school level to learn the basics of audio video production. The course will help the students develop an understanding of the industry with a focus on pre-production, production, and post-production audio and video activities. The course is based on Career and Technical Education (CTE) standards designed to help students develop technical knowledge and skills needed for success in the audio video production industry. This course is designed to enable students at high school level to develop the knowledge and skills related to audio video techniques that they can use in their careers. This course discusses the elements of audio video production, preproduction activities, media production techniques, and postproduction activities. The course is based on Career Technical Education (CTE) standards designed to help students develop technical knowledge and skills needed for success in the audio video production industry. This course is designed to enable all students at the high school level to students understand the basic concepts in audio video manufacturing. Students will learn about preproduction techniques, advanced production techniques, advanced post-production techniques, mastering production techniques, special effects and animation, careers, and audio video production laws. The course is based on Career Technical Education (CTE) standards designed to help students prepare for entry into a wide range of careers in audio video production. The 21 lessons and additional activities in this one-semester course are fundamental to ensuring career readiness on the part of your students. Covering such essentials as developing and practicing a strong work ethic, time management, communication, teamwork, and the fundamentals of workplace organizations, Career Explorations develops not just essential skills, but the confidence in themselves and their abilities to present themselves that your students need as they prepare to embark on their chosen careers. The course is designed to enable students to learn the key skills and information that they need to work as certified nurse aides. The course will help students develop an understanding of the human body, physical and nutritional needs, mental health needs and teach them to provide culturally competent and quality care to clients in a safe and healthy environment. The course is based on the NNAAP Exam syllabus and is designed to prepare students to take the exam and become certified nurse aides. The course has animations and videos that demonstrate key skills that students must acquire to work as nurse aides. The practice test at the end of the course gives students practice on the written exam that they’ll need to give to become certified nurse aides. As adulthood and its accompanying responsibilities become closer for many of your students, this one-semester course with 12 lessons introduces them to the basics of parenting. Students will learn the nuances of parenting including learning about prenatal and postnatal care and gain insights on the nurture of children. Students will also learn about the importance of positive parenting skills, parent-child communication, and ways to use community resources for effective parenting. Activities will help your students connect leading research to real-life experience. This course is focused on the exam objectives of CompTIA A+ 220-901. Students will learn about computer hardware and networking. Students will learn about mobile devices and their features. Students will learn how to identify and troubleshoot problems related to hardware, networking, printers, storage devices, and mobile devices. Unit activities in the course help students to develop and apply critical thinking skills. Animations and screenshot based slideshows included in the lesson keep students engaged. Students can understand technical concepts very easily. Simulations provide students a real computer environment to practice various procedural steps. These simulations emulate the CompTIA A+ performance based questions. Practice Test at the end of the course help students to attempt questions that are similar to CompTIA A+ 220-901 certification exam. This course is focused on the exam objectives of CompTIA A+ 220-902. Students will learn about Windows operating system and mobile operating systems. Students will learn about security, cloud computing, and operational procedures. Students will also learn how to identify and troubleshoot problems related to Windows operating system, security, and mobile operating systems. Practice Test at the end of the course help students to attempt questions that are similar to CompTIA A+ 220-902 certification exam. Part of the Courseware Career and Technical Education (CTE) Library, Computer Programming combines engaging online and offline activities in a rigorous one-semester course for your high school students who may be aspiring to technical careers. Building on lessons covering the software development lifecycle and software development methodologies, the course uses online discussions, activities, and lessons to lead your students through additional key topics such as quality control, system implementation, and maintenance and the increasingly important issue of system security. This course is designed to enable students at the high school level to develop basic computer skills that they can use during their college education and also in their careers. This course is designed to enable all students at the high school level to develop the critical skills and knowledge that they will need to be successful in careers throughout their lives. The course is based on Career and Technical Education (CTE) standards designed to help students prepare for entry into a wide range of careers and/or into postsecondary education. This is an effective and comprehensive introduction to careers in the rapidly expanding world of digital art. The course covers creative and practical aspects of digital art in 15 lessons that are enhanced with online discussions and a variety of activities. Beginning with a history of digital art, the course goes on to issues of design, color, and layout. While students will experience creation of digital art, they will also learn about converting traditional art to digital formats. From the history of drafting and design to a look at the latest in the industry's latest computer-aided tools, this course gives your students a comprehensive look at a dynamic and in-demand career. With 14 effective lessons and five engaging activities that lead to mastery of the course content, the course review and end of course assessment help ensure that mastery. The course features skill-embedded content that connects student learning to real-life experiences. This semester-long course is based on Career and Technical Education (CTE) standards to help students prepare for entry into a wide range of careers and/or into postsecondary education. It is designed to enable students at high school level to develop electronic communication skills that they can use in their careers. This course is based on Career Technical Education (CTE) standards designed to help students understand the roles and attributes of an entrepreneur, marketing and its components, selling process, and operations management. This course discusses entrepreneurship and the economy, marketing fundamentals, managing customers, production and operations management, money, and business law and taxation. This course helps students understand and practice critical life and workplace readiness skills identified by employers, state boards of education, and Advance CTE. These skills include personal characteristics, such as positive work ethic, integrity, self-representation, and resourcefulness, as well as key people skills, communication skills, and broadly-applicable professional and technical skills. These skills are universally valuable but sometimes assumed or glossed over in more career-specific courses. For that reason, this provides students with a solid foundation in their career studies. Are any of your students gamers? That's what we thought. In this course, they'll learn the ins and outs of game development to prepare them for a career in the field. Whether it is the history of video games, character development, mobile game design, user interface design, social gaming, or the principles of development design and methodologies, this 20-lesson course covers it all. As you might guess, games are included in the course to enhance the learning experience and help assess student progress. While fun and highly engaging, the course focuses on laying a strong foundation for a career in game development. This course will help students develop an understanding of the industry with a focus on topics such as history of graphic design, types of digital images, graphic design tools, storing and manipulating images, design elements and principles, copyright laws, and printing images. The course is based on Career Technical Education (CTE) standards designed to help students develop technical knowledge and skills needed for success in the graphic design industry. The course is based on Career and Technical Education (CTE) standards to help students develop technical knowledge and skills needed for success in the health science industry. Semester A is designed to enable all students at the high-school level to understand the basic structure and function of the human body and it will help the students identify and analyze the diseases and medical procedures related to each body system. Semester B will help the students develop an understanding of biomolecules such as proteins, carbohydrates, and lipids; biological and chemical processes; and various diseases that affect the body. This course is designed to enable all students at the high-school level to learn the basics of health science. The course will help the students develop an understanding of the academic qualifications, personal skills, training, and use of healthcare tools required to work in the healthcare industry. The course is based on Career and Technical Education (CTE) standards to help students develop technical knowledge and skills needed for success in the healthcare industry. International Business is a one-semester course that covers the fundamentals of international business, international business transactions, and how a business can go global. In this course, students will learn about what international business is and how globalization has impacted it. They will learn about global trade and investment policies, and politics and laws that impact international business. Students will also learn about the International Monetary Fund, foreign exchange and global capital markets, key world economies, and economic cooperation across countries. The course also covers strategies to enter the international market along with factors like strategic planning, marketing, global sourcing, and logistics, human resource management, and employability skills. Students also learn about the cultural elements involved in conducting international business. Online discussions and course activities require students to develop and apply critical thinking skills, while the included games appeal to a variety of learning styles and keep students engaged. Introduction to Criminology is a one-semester course with 14 lessons that cover the theories related to criminology. The target audience for this course is high school students. This course covers subject areas such as: classical theory, positivist theory, punishing offenders, routine activity theory, labeling theory, social disorganization theory, peacemaking criminology, and many more. This course is designed to enable students at high school level to develop financial skills that they can use during in their careers in business organizations. Financial literacy is an increasingly essential capability as students prepare for the workforce, and this 18-lesson course provides the information they need to determine if a career in finance is right for them. The course uses games and online discussions to effectively facilitate learning, while introducing your learners to a variety of topics, including investment strategies, money management, asset valuation, and personal finance. The course is based on Career Technical Education (CTE) standards designed to help students develop technical knowledge and skills needed for success in the finance industry. This course is designed to introduce students to the process involved in creating an app. Students learn about history of and upcoming trends in mobile app development. They explore career options in mobile app development and describe skills and training required for mobile app development. They also describe the types of apps available in the market. Moreover, they learn about various platforms for developing iOS mobile apps. Further, they learn about the iOS development environment. Finally, they create the user interface of an app and make it interactive in Xcode. Issues in marketing, advertising, and sales promotion are evolving rapidly in an increasingly digital environment. This course effectively helps your students prepare for a career in that environment through a comprehensive look at essential marketing principles, interactive tools and channels, and the growing impact of data in marketing and advertising. Simple to manage and easy to customize, the course provides an overview of all of the fundamental topics necessary to effectively put your students on a career path that unleashes their creativity and develops and leverages their critical thinking skills. Throughout this course, your students will learn about various career options in the agriculture, food, and natural resources industries. They will learn about technology, safety, and regulatory issues in agricultural science. They will also learn about some topics related to agriculture, such as international agriculture and world trade, sustainability, environmental management, research, development, and future trends in the industry. The course helps students navigate the rising demand for sustainable food sources while also meeting the challenge of producing higher yields to feed a growing world. This interactive course empowers students with the knowledge to appreciate and evaluate career opportunities in architecture and construction. With an emphasis on developing critical thinking skills, this one-semester course includes a variety of activities as students learn about structures and loads, materials and costs, urban design, and other aspects of these fascinating career opportunities. This easy-to-manage course will help build a solid foundation for their career options. This course appeals to your students' familiarity with a variety of sensory inputs and stimulus. With an emphasis on visual arts, the 14 lessons introduce learners to careers in design, photography, performing arts, fashion, and journalism, among others. This engaging course covers inherently engaging topics that will stimulate your students as they consider careers in which the arts, technology, and communications intersect. This course has a broad application for almost every career path that your students might choose. This course supplies both essential career skills and life skills. Designed for early high school students, the course offers you the flexibility to customize it to the unique needs of your program and your students. Interactive games and other engaging online and offline activities make practical real-life application of essential business principles understandable useful in the daily lives of your students and in the careers that they choose. This course is designed to enable all students at the high school level to learn the basics of education and training. Students will learn about the various trends and factors that influence the education industry. This course introduces various career opportunities in the field of education. The units in this course include personal and professional skills needed in various education careers, child growth and development, child health, delivering instruction, and technology in education.The course is based on Career Technical Education (CTE) standards designed to help students develop technical knowledge and skills needed for success in the education industry. This easy-to-manage course provides students with essential STEM knowledge and an effective overview of STEM careers. The course's 15 lessons are interspersed with activities and online discussions that engage learners and promote understanding and achievement. Topics covered include biotechnology, mechanics, and fluid and thermal systems. The concluding lesson provides a valuable overview of the overall engineering design process. This course is designed to enable all students at the high school level to learn the basics of government and public administration. Students explore career opportunities in the field of government and public administration. They also learn about the career-related skills, such as job acquisition skills, reading and writing, and mathematics they need to possess as professionals in this field. They learn about the safe and healthy working conditions necessary in the field of government and public administration. This course covers topics such as: the influence of geography and technology, and networking and communication as they relate to government and public administration. The course is based on Career and Technical Education (CTE) standards designed to help students prepare for entry into a wide range of careers in government and public administration industry. The hospitality and tourism industry offers a dynamic career path that will pique the interest of many of your students. This course emphasizes learning the practical aspects of the industry and the development of critical-thinking skills that lead to real-world solutions. This 14-lesson course will introduce your students to an exciting industry and will help them evaluate and prepare for a career in this growing and exciting industry. This course is designed to enable all students at the high school level to develop the critical skills and knowledge necessary in the human services industry. Students will learn about various personal characteristics that they need to demonstrate in the workplace, such as integrity, and positive work ethics. This course covers topics such as employability skills, counseling and mental health services, and consumer services. The course is based on Career Technical Education (CTE) standards designed to help students prepare for entry into a wide range of careers in the human services field. Building on the fundamentals learned in Information Technology 1A, this course takes the next steps in preparing learners for a career in information technology. Covering software, hardware, and implementation topics, the course also addresses the security and ethical issues that your students will face in an IT career. Combining lessons, online and offline activities, and interactive discussions, the course will provide a practical yet cutting edge look at the issues faced by leading IT professionals today and in the future. In an increasingly interconnected world, this course will introduce your students to an industry that delivers what people want, when and how they want it. The TDL industry is essential to creating global economic growth through increasingly more efficient delivery of goods and services. This course will help to develop both the quantitative and qualitative skills and knowledge required for students to prepare themselves for a successful TDL career. The course addresses the relevant logistical and geopolitical issues that impact global trade. This course is designed to enable all students at the high school level to develop communication skills they will need to be successful in a profession. Students learn about the key aspects of the communication process. They learn to apply communication protocol and appropriate language skills in professional and social communication. Students also explore effective strategies to address diversity in communication. Finally, students familiarize themselves with reading, writing, speaking, and listening skills. This course covers topics such as commination in business organizations and technology for communication. The course is based on Career Technical Education (CTE) standards designed to help students prepare for communication in a wide range of professions. Few recent technical innovations have changed an industry as fundamentally as digital photography has changed everything about the way we capture our lives in the way we take, edit, store, and share pictures. Digital Photography provides you with the flexibility to not only use it as an independent individual course or as a group or class course, but to also easily customize the course to the unique needs of your situation. The course combines 15 lessons with online discussions that promote the development of critical thinking skills as your students explore digital photography as an enriching activity or a career. This two-semester course is focused on the concepts related to robots and how to construct a robot. Students will learn about the history and applications of robotics. Students will learn about the job opportunities and employability skills in the field of robotics. Students will also learn about the basic concepts of six simple machines, electricity, electronic circuits, Boolean algebra, magnetics, and their applicability to robotics. Students will apply safety procedures and construct a simple robot. Students will also learn about project management and engineering design process. Students will learn about the programming languages used in robotics. Students will create a simple robotic arm. Students will also construct a robot using programming. Student will learn about ethics and laws related to robotics. Students will also learn how to test and maintain a robot. Online discussions and unit activities require students to develop and apply critical thinking skills, while the included games appeal to a variety of learning styles and keep students engaged. Whether they know it or not, almost all of your students have an interest in web design. This course takes them inside the essentials of web design and helps them discover what makes a site truly engaging and interactive. Lessons such as Elements of Design, Effects of Color, and Typography help them understand the elements of effective and dynamic web design. The course covers the basics of HTML, CSS, and how to organize content, and helps to prepare them for a career in web design. As in other areas of life, success in academics results from learning and practicing positive habits. This one-semester elective provides practical, hands-on guidance on developing and improving study habits and skills, regardless of a student's level of accomplishment. Academic Success includes five lessons and two course activities in a flexible structure that is adaptable to the needs and circumstances of individual students. The course can also be used for college-level developmental education. This semester-long course traces the experiences of Africans in the Americas from 1500 to the present day. In this course, students will explore history, politics, and culture. Although the course proceeds in chronological order, lessons are also grouped by themes and trends in African American history. Therefore, some time periods and important people are featured in more than one lesson. This course explores the main concepts of art, expression, and creativity as it helps students answer questions such as what is art; what is creativity; and how and why people respond to art. It covers essential design principles such as emphasis, balance, and unity. Units include: Art, History, and Culture; Western and World Art Appreciation; and Art and the Modern World. This one-semester course is focused on the history, applications, and innovations of artificial intelligence. Students will learn about intelligence agents, problem solving using search algorithms, knowledge representation, and reasoning in artificial intelligence. Students will also learn about the basic concepts of machine learning and natural language processing (NLP). Students will also learn about expert systems, computer vision and robotics. This 12-lesson course also covers ethics and safety related to artificial intelligence. Online discussions and course activities require students to develop and apply critical thinking skills, while the included games appeal to a variety of learning styles and keep students engaged. This course is designed to get students to pursue creative writing as a vocation or as a hobby. To that purpose, it exposes them to different genres and techniques of creative writing, as also the key elements (such as plot and characterization in fiction) in each genre. Great creative writing does not come merely by reading about the craft—one also needs ideas; a process for planning, drafting and revising; and the opportunity to experiment with different forms and genres. The lesson tutorials in this course familiarize students with the basic structure and elements of different types or genres of writing. The course is based on Career and Technical Education (CTE) standards designed to help students prepare for entry into a wide range of careers in creative writing fields. This course is designed to introduce students to the history of environmental science in the United States, ecological interactions and succession , environmental change , adaptation, and biogeochemical cycles. Students will learn about the importance of environmental science as an interdisciplinary field. They will describe the importance of biodiversity to the survival of organisms, and learn about ecological pyramids . They will discuss the effects of climate change an d explore different types of adaptation . They will describe the steps of the water cycle, and discuss how carbon, oxygen, nitrogen, and phosphorous cycle in the global environment. Gothic Literature is a one-semester course with 14 lessons that analyze the conventions, elements, themes, and other characteristics of Gothic literature. This course covers subject areas such as: morality and spirituality in gothic poetry, Dr. Jekyll and Mr. Hyde, dual personalities, Edgar Allan Poe, Dracula, gothic conventions across time, and many more. This one-semester course is focused on the Holocaust, a tragic time in history that resulted in the killing of six million Jewish people in Europe. Students trace this period in history from the aftermath of the First World War to the roots of anti-Semitism and the rise of Adolf Hitler to the aftermath of the Holocaust. The 14 lessons in the course explore the history of the Jewish community in Europe and what they were subjected to at the hands of the Nazis, including their experiences in the ghettos, concentration camps, and termination camps. Students learn about how Nazis victimized non-Jewish people who were against the Third Reich. The course also covers the Jewish resistance and their fight for liberation, the trials after the Second World War, and the impact of the Holocaust on the world. This course combines a variety of content types, including lessons, activities, discussions, and games to keep students engaged as they trace this tragic period in history. Introduction to Anthropology is a one-semester course with 14 lessons that introduce students to the field of anthropology. Students will explore the evolution of anthropology as a distinct discipline, learn about anthropological terms, concepts and theories, and discuss the evolution of humans and human society and culture. Students will also learn about social institutions, such as marriage, economy, religion, and polity. The target audience for this course is high school students. Introduction to Archaeology is a one-semester course with 14 lessons that discuss the work and techniques involved in archaeology, and the prospects of an archaeologist. This course covers subject areas such as: history of modern archaeology, discoveries in archaeology, careers in archaeology, research techniques, evidence, site excavation, and many more. Introduction to Astronomy is a one-semester course with 17 lessons that cover a wide range of topics, such as the solar system, planets, stars, asteroids, comets, galaxies, space exploration, and theories of cosmology. The target audience for this course is high school students. From Components of Fashion to Haute Couture to Production, this course is focused on the practical aspects of career preparation in the fashion design industry. The 17 lessons in the course provide students with both breadth and depth, as they explore the full gamut of relevant topics in fashion design. Online discussions and course activities require students to develop and apply critical thinking skills while the included games appeal to a variety of learning styles and keep students engaged. Fascinating and practical, Introduction to Fashion design will appeal to, and enrich, many of your students. This course is designed to introduce students to the importance and limitations of forensic science and explore different career options in this field. They also learn to process a crime scene, collect and preserve evidence, and analyze biological evidence such as fingerprints, blood spatter, and DNA samples. Moreover, they learn to determine the time and cause of death in homicides and analyze ballistic evidence and human remains in a crime scene. Finally, they learn about forensic investigative methods related to arson, computer crimes, financial crimes, frauds, and forgeries. This course is designed to introduce students to oceanic features and processes, ocean habitats and ecosystems, life forms in the ocean, and different types of interactions in the ocean. Students will learn about the formation and characteristic features of the oceans. They will learn about the scientific method and explore careers available in marine biology. They will learn about the characteristic features of different taxonomic groups found in the ocean. They will learn about the different habitats, life forms, and ecosystems that exist in the oceans and explore the different types of adaptation s marine creatures possess to survive in the ocean. They will learn about succession and the flow of energy in marine ecosystems. They will also learn about the resources that the oceans provide and the threats that the oceans face from human activities. This Elective course provides students an introduction to the field of philosophy and its great, timeless questions. Students explore the origin and evolution of philosophy as a discipline and learn about the times, lives, and intellectual contributions of essential philosophers. This cutting-edge course develops social media skills and knowledge that will have a practical and positive impact in helping your high school students succeed in today's economy. Of course they already engage in social media, but this course enhances their skills and knowledge in order to apply them in a practical way in their careers. Online discussions are a critical aspect of creating a collaborative learning environment, while games and other interactions ensure engagement and promote a strong career orientation. This course is designed to introduce all students at the high school level to the fundamentals of veterinary science, measures to control diseases in animals, and the impact of toxins and poisons on animal health. The students will explore the history of veterinary science and the skills and requirements for a successful career in the veterinary industry. They will also explore the physiology and anatomy of animals, learn how to evaluate animal health and determine effective treatments for infectious and noninfectious diseases in animals. Additionally, they will learn about zoonotic diseases, and the impact of toxins and poisons on animal health. This course is designed to enable all students at the high school level to familiarize themselves with different types of visual arts. The students will explore units in: Creativity and Expression in Art, Elements of Art, History of Art, Cultural Heritage of Art, Drawing, Printing, Painting, Graphic Design and Illustration, and Multimedia. Introduction to World Religions is a one-semester course with 14 lessons that discuss the origins, beliefs, and practices related to various world religions. The target audience for this course is high school students. This course covers subject areas such as: primal religious traditions, sacred stories, Hinduism, Buddhism, Judaism, Christianity, Islam, contemporary religious movements, and many more. In a time of an increasing emphasis on STEM courses and skills, it remains essential to provide your students with opportunities to explore the arts from both an informational and career-oriented perspective. In Music Appreciation, students will explore the history and evolution of music, learn the elements of music and musical notations, and the contributions of popular music artists and composers. A variety of lessons, activities, and discussions will help to develop an awareness and appreciation of music that will develop not only critical thinking skills, but life enriching skills as well. Introduction to Mythology and Folklore is a one-semester course with 15 lessons that discuss myths, legends, and folklore from around the world. This course covers subjects such as Mythology, Legend, Folklore, Gods and the Goddesses, natural events, and wonders of the world. This course complements Native American Studies: Historical Perspectives. It explores Native American worldviews, art, media perspectives on Native Americans, and contemporary perspectives and organizations. It concludes by providing a global perspective by examining issues face by indigenous peoples throughout the world. By providing historical perspectives, this course provides a comprehensive understanding of the roots of Native American culture. The topics addressed include an exploration of the Native American history in the arctic and subarctic, various regions of the U.S., and the development of Native American life. This course is designed to enable all students at the high school level to develop the critical skills and knowledge that they will need to be successful in careers throughout their lives. The course is based on Career and Technical Education (CTE) standards to help students prepare for entry into a wide range of careers and/or into postsecondary education. Financial literacy is an increasingly essential capability as students prepare for the workforce, and this 18-lesson course provides the information they need to determine if a career in finance is right for them. The course uses games and online discussions to effectively facilitate learning, while introducing your learners to a variety of topics, including investment strategies, money management, asset valuation, and personal finance. This flexible, customizable course gives your students an overview of the history of psychology while also giving them the resources to explore career opportunities in the field. Students will learn how psychologists develop and validate theories and will examine how hereditary, social, and cultural factors help form an individual’s behavior and attitudes. Students will also evaluate the effectiveness of different types of psychological counseling and therapy. Highly interactive content includes online discussions that help develop critical thinking skills. Revolutionary Ideas in Science is a one-semester course with 15 lessons that cover the discoveries and inventions in science from pre-historic to present times. This course covers subject areas such as: prehistoric science, technology, ancient and medieval science, the scientific revolution, thermodynamics and electricity, and many more. Because the specifics of social issues change rapidly, this course is designed to have students discover contemporary and relevant perspectives on issues that may have been around for centuries. Students engage in significant research and each lesson ends with an essay assignment that encourages students to express their opinions. Topics include media, government, civil liberties, poverty, terrorism, crime, the environment, and many more. In this course, students will explore the evolution of sociology as a distinct discipline while learning about sociological concepts and processes. They will learn how the individual relates to and impacts society. Students will also learn about the influence of culture, social structure, socialization, and social change on themselves and others. The course combines a variety of content types, including lessons, activities, discussions, and games to engage learners as the discover sociology as a subject and as a career. This semester-long course focuses on building good sentences. Students will learn how to put words, phrases, and clauses together and how to punctuate correctly. They will start using sentences in short compositions. As an extra bonus, students will add some new words to their vocabulary, and they will practice spelling difficult words. Near the end of the course, students are to submit a book report. Early in the course, encourage students to start looking for the books they want to read for the book report. They might also preview the introduction to that lesson so they know what will be expected. This one-semester course explores what goes into the making of a theater and film production. The course has 14 lessons that focus on the pre-production, production, and post-production stages of theater and film productions. Students will be introduced to theater and film, and their different genres and subgenres. They will also learn about roles and responsibilities of the cast and crew, including the director, actors, screenplay writers, set designers, wardrobe stylists and costume designers, and makeup artists. The course also covers technical aspects, such as lighting and sound. Students will also learn about the influence of the audience on theater, cinema, and film production. The course combines a variety of content types, including lessons, activities, discussions, and games to keep students engaged as they discover the world of theater, cinema, and film production. Women’s Studies is a one-semester course with 14 lessons that introduce students to women’s studies, gender studies, and gender roles. The course traces the history of feminism, analyzes feminist theories, and examines intersectionality. Students will learn about social and political movements for the rights of women and other vulnerable groups. Students will also learn about social and family structures and socialization, which includes identifying prejudices, biases, and stereotypes that exist in society, and how the media perpetuates some stereotypes about gender roles and identities. The course also covers social and family structures, different forms of oppression, ways to prevent oppression, and methods to help and empower victims. Students will learn about international activism for gender equality, legal rights, and the challenges in achieving equality for all citizens from every section of society. The course combines a variety of content types, including lessons, activities, discussions, and games to engage learners as they discover the significance of women’s studies. Our online AP French Language & Culture course is an advanced language course in which students acquire proficiencies that expand their cognitive, analytical and communicative skills. The AP French Language course prepares them for the AP French exam. Its foundation is the three modes of communication (Interpersonal, Interpretive and Presentational) as defined in the Standards for Foreign Language Learning in the 21st Century. The AP® Spanish Language and Culture course is an advanced language course in which students are directly prepared for the AP® Spanish Language and Culture test. It uses as its foundation the three modes of communication: interpersonal, interpretive and presentational. The course is conducted almost exclusively in Spanish. The course is based on the six themes required by the College Board: (1) global challenges, (2) science and technology, (3) contemporary life, (4) personal and public identities, (5) families and communities, and (6) beauty and aesthetics. The course teaches language structures in context and focuses on the development of fluency to convey meaning. Students explore culture in both contemporary and historical contexts to develop an awareness and appreciation of cultural products, practices, and perspectives. Students should expect to listen to, read, and understand a wide-variety of authentic Spanish-language materials and sources, demonstrate proficiency in interpersonal, interpretive, and presentational communication using Spanish, gain knowledge and understanding of the cultures of Spanish speaking areas of the world, use Spanish to connect with other disciplines and expand knowledge in a wide-variety of contexts, develop insight into the nature of the Spanish language and its culture, and use Spanish to participate in communities at home and around the world. The AP® Spanish Language and Culture course is a college level course. The intensity, quality, and amount of course material can be compared to that of a third-year college course. Students begin their introduction to Chinese with fundamental building blocks in four key areas of foreign language study: listening comprehension, speaking, reading, and writing. The course consists of 180 lesson days formatted in an intuitive calendar view, which can be divided into two 90-day semesters. The course represents an ideal blend of language learning pedagogy and online learning. As students begin the course, they construct their own Avatar that accumulates “Avatar bucks”—by performing well on course tasks—to use to purchase materials (clothing, gadgets, scenery, etc.) at the “Avatar store”. Each week consists of an ongoing adventure story, a new vocabulary theme and grammar concept, numerous interactive games reinforcing vocabulary and grammar, reading and listening comprehension activities, speaking and writing activities, and multimedia cultural presentations covering major Chinese-speaking countries. The course has been carefully aligned to national standards as set forth by ACTFL (the American Council on the Teaching of Foreign Languages). Students continue their introduction to Chinese with fundamental building blocks in four key areas of foreign language study: listening comprehension, speaking, reading, and writing. The course consists of 180 lesson days formatted in an intuitive calendar view, which can be divided into two 90-day semesters. The course represents an ideal blend of language learning pedagogy and online learning. As students begin the course, they construct their own Avatar that accumulates “Avatar bucks”—by performing well on course tasks—to use to purchase materials (clothing, gadgets, scenery, etc.) at the “Avatar store”. Each week consists of an ongoing adventure story, a new vocabulary theme and grammar concept, numerous interactive games reinforcing vocabulary and grammar, reading and listening comprehension activities, speaking and writing activities, and multimedia cultural presentations covering major Chinese-speaking countries. The course has been carefully aligned to national standards as set forth by ACTFL (the American Council on the Teaching of Foreign Languages). These courses are based on a researched scope and sequence that covers the essential concepts of French. Class discussions provide an opportunity for discourse on specific topics in French. A key support tool is the Audio Recording Tool that enables students to learn a critical skill for French: listening and speaking. Beginning with learning personal greetings and continuing through practical communications exchanges, French 1B introduces students to the skills necessary to make the most of traveling to French-speaking countries. In this expanding engagement with French, students deepen their focus on four key skills in foreign language acquisition: listening comprehension, speaking, reading, and writing. In addition, students read significant works of literature in French, and respond orally or in writing to these works. The course consists of 180 lesson days formatted in an intuitive calendar view, which can be divided into two 90-day semesters and represents an ideal blend of language learning pedagogy and online learning. As students begin the course, they construct their own Avatar that accumulates “Avatar bucks”—by performing well on course tasks—to use to purchase items (virtual clothing, gadgets, scenery, etc.) at the “Avatar store”. Continuing the pattern, and building on what students encountered in the first two years, each week consists of a new vocabulary theme and grammar concept, numerous interactive games reinforcing vocabulary and grammar, reading and listening comprehension activities, speaking and writing activities, and multimedia cultural presentations covering major French-speaking areas in Europe and the Americas. The course has been carefully aligned to national standards as set forth by ACTFL (the American Council on the Teaching of Foreign Languages). As with all Edmentum world language courses, German 1 A and B address two primary issues: providing a meaningful context that encourages learners to think in the target language as much as possible; and introducing grammatical concepts without over reliance on grammatical analysis. German 1A focuses on communicating basic and practical greetings and personal information. German 1B consists of five units over about 14 weeks, with an emphasis on a variety of practice types throughout the course. According to The Economist and the Census Bureau, German-American is America’s largest single ethnic group, with over 46 million Americans claiming German Ancestry. German 2 A and B tap into learners’ latent interest in their cultural past, present, and future. These courses employ direct-instruction approaches, including application of the target language through activities. Each unit in the course includes a predefined discussion topic. These discussions provide an opportunity for discourse on specific topics in German. Students begin their introduction to Latin with fundamental building blocks in four key areas of foreign language study: listening comprehension, speaking, reading, and writing. The course consists of 180 lesson days formatted in an intuitive calendar view, which can be divided into two 90-day semesters and represents an ideal blend of language learning pedagogy and online learning. As students begin the course, they construct their own Avatar that accumulates “Avatar bucks”—by performing well on course tasks—to use to purchase items (virtual clothing, gadgets, scenery, etc.) at the “Avatar store”. Each week consists of a new vocabulary theme and grammar concept, numerous interactive games reinforcing vocabulary and grammar, reading and listening comprehension activities, speaking and writing activities, and cultural presentations covering significant aspects of Roman culture or their modern-day manifestations, and assessments. The course has been carefully aligned to national standards as set forth by ACTFL (the American Council on the Teaching of Foreign Languages). Students continue their introduction to Latin with fundamental building blocks in four key areas of foreign language study: listening comprehension, speaking, reading, and writing. The course consists of 180 lesson days formatted in an intuitive calendar view, which can be divided into two 90-day semesters and represents an ideal blend of language learning pedagogy and online learning. As students begin the course, they construct their own Avatar that accumulates “Avatar bucks”—by performing well on course tasks—to use to purchase items (virtual clothing, gadgets, scenery, etc.) at the “Avatar store”. Each week consists of a new vocabulary theme and grammar concept, a notable ancient myth in Latin, numerous interactive games reinforcing vocabulary and grammar, reading and listening comprehension activities, speaking and writing activities, and cultural presentations covering significant aspects of Roman culture or their modern-day manifestations, and assessments. The course has been carefully aligned to national standards as set forth by ACTFL (the American Council on the Teaching of Foreign Languages). Spanish is the most spoken non-English language in U.S. homes, even among non-Hispanics, according to the Pew Research Center. There are overwhelming cultural, economic, and demographic reasons for students to achieve mastery of Spanish. Spanish 1A and B engage students and use a variety of activities to ensure student engagement and to promote personalized learning. These courses can be delivered completely online, or implemented as blended courses, according to the unique needs of the teacher and the students. Spanish 2A and B utilize three assessment tools that are designed specifically to address communication using the target language: Lesson Activities, Unit Activities, and Discussions. These tools help ensure language and concept mastery as students grow in their understanding and use of Spanish. Learning games specifically designed for language learning are used and can be accessed on a wide variety of devices. Spanish 3A and B take a unique approach by setting the lessons in each unit in a specific Spanish-speaking locale, immersing students in the language and in a variety of Hispanic cultures and issues. For example, Unit 5 in Semester B includes a discussion of the environmental issues in Argentina. Concluding the three-year cycle of Spanish courses, Spanish 3A and B effectively combine group and individual learning and offer activities and assessments to keep students engaged an on track. This course is designed specifically for students with physical limitations. The content is similar to Fitness Fundamentals 1, but additional modification resources are provided to allow for customized exercise requirements based on a student’s situation. In addition, students learn the basic skills and information needed to begin a personalized exercise program and maintain an active and healthy lifestyle. Students research the benefits of physical activity, as well as the techniques, components, principles, and guidelines of exercise to keep them safe and healthy. This course guides students through an in-depth examination of the effects of exercise on the body. Students learn how to exercise efficiently and properly, while participating in physical activities and applying principles they've learned. Basic anatomy, biomechanics, physiology, and sports nutrition are all integral parts of this course. Throughout this course students participate in a weekly fitness program involving elements of cardio, strength, and flexibility. This course gives the student an in-depth view of physical fitness by studying subjects such as: biomechanics, nutrition, exercise programming, and exercise psychology. Students will apply what they learn by participating in a more challenging exercise requirement. Throughout this course students participate in a weekly fitness program involving elements of cardio, strength, and flexibility. In this course students will explore the anatomy or structure of t he human body. In addition to learning anatomical terminology, students will study and the main systems of the body- including integumentary, skeletal, muscular, circulatory, respiratory, digestive, reproductive, and nervous systems. In addition to identifying the bones, muscles, and organs, students will study the structure of cells and tissues within the body. In this course students will explore concepts involving personal fitness, team sports, dual sports, and individual and lifetime sports. Students will focus on health-related fitness as they set goals and develop a program to improve their fitness level through cardio, strength, and flexibility training. In addition, they will learn about biomechanics and movement concepts, as they enhance their level of skill-related fitness. Students will learn about game play concepts and specifically investigate the rules, guidelines, and skills pertaining to soccer, softball, volleyball, tennis, walking and running, dance, and yoga. Throughout this course students will also participate in a weekly fitness program involving elements of cardio, strength, and flexibility training. Credit Recovery Health is ideal for students who have had prior exposure to health, yet were unable to receive credit for their previous work by demonstrating mastery of the material. The course contains all the essential content with reduced coursework. Students learn to define mental, social, physical, and reproductive health as well as learning about drugs and safety. Credit Recovery PE is ideal for students who have had prior exposure to physical education, yet were unable to receive credit for their previous work by demonstrating mastery of the material. The course contains all the essential content with reduced coursework. Students learn about the FITT principles, the components of physical fitness, and the benefits of physical activity, as well as the techniques, principles, and guidelines of exercise to keep them safe and healthy. Students participate in weekly physical activity throughout the course. This course delves into the types and effects of drugs, including alcohol, tobacco, steroids, over the counter drugs, marijuana, barbiturates, stimulants, narcotics, and hallucinogens. Students learn about the physiological and psychological effects of drugs, as well as the rules, laws, and regulations surrounding them. The difference between appropriate and inappropriate drug use will also be discussed. In addition, students will learn about coping strategies, healthy behaviors, and refusal skills to help them avoid and prevent substance abuse, as well as available resources where they can seek help. This course takes an in-depth examination of the effects of exercise on the body. Through this course, students will learn basic anatomy, biomechanics, and physiology, as well as proper principles and techniques to designing an effective exercise program. The study of nutrition and human behavior will also be integrated into the course to enhance the students’ comprehension of this multifaceted subject. Family & Consumer Science prepares students with a variety of skills for independent or family living. Topics covered include child care, home maintenance, food preparation, money management, medical management, clothing care, and more. They also focus on household, personal, and consumer health and safety. In addition, students learn goal setting and decision-making skills, as well as explore possible career options. In this course, students examine the family unit and characteristics of healthy and unhealthy relationships at different phases of life-- including information on self- discovery, family, friendships, dating and abstinence, marriage, pregnancy, and parenthood. Students learn about the life cycle and the different stages of development from infancy to adulthood. They also focus on a variety of skills to improve relationships and family living, including coping skills, communication skills, refusal skills, babysitting, parenting, and healthy living and disease prevention habits. In this course, students learn and practice first aid procedures for a variety of common conditions, including muscular, skeletal, and soft tissue injuries. In addition, students learn how to appropriately respond to a variety of emergency situations. They also learn the procedures for choking and CPR for inf ants, children, and adults. In addition to emergency response, students will explore personal, household, and outdoor safety, and disaster preparedness. This course is designed to provide students with the basic skills and information needed to begin a personalized exercise program and maintain an active and healthy lifestyle. Students participate in pre- and post fitness assessments in which they measure and analyze their own levels of fitness based on the five components of physical fitness: muscular strength, endurance, cardiovascular fitness, flexibility, and body composition. In this course, students research the benefits of physical activity, as well as the techniques, principles, and guidelines of exercise to keep them safe and healthy. Throughout this course students participate in a weekly fitness program involving elements of cardio, strength, and flexibility training. This course takes a more in-depth look at the five components of physical fitness touched on in Fitness Fundamentals 1: muscular strength, endurance, cardiovascular health, flexibility, and body composition. Th is course allows students to discover new interests as they experiment with a variety of exercises in a non-competitive atmosphere. By targeting different areas of fitness, students increase their understanding of health habits and practices and improve their overall fitness level. Students take a pre- and post-fitness assessment. Throughout this course students also participate in a weekly fitness program involving elements of cardio, strength, and flexibility. This course focuses on the often-neglected fitness component of flexibility. Students establish their fitness level, set goals, and design their own flexibility training program. They study muscular anatomy and learn specific exercises to stretch each muscle or muscle group. Students focus on proper posture and technique while training. They also gain an understanding of how to apply the FITT principles to flexibility training. This course explores aspects of static, isometric, and dynamic stretching, as well as touch on aspects of yoga and Pilates. This course also discusses good nutrition and effective cross-training. Students take a pre- and post fitness assessment. Throughout this course students also participate in a weekly fitness program involving flexibility training, as well as elements of cardio and strength training. This course provides students with an overview of group sports. Students learn about a variety of sports, yet do an in-depth study of soccer, basketball, baseball/softball, and volleyball. Students learn not only the history, rules, and guidelines of each sport, but practice specific skills related to each sport. Students also learn about sportsmanship and teamwork. In addition, students study elements of personal fitness, goal setting, sport safety, and sports nutrition. Students conduct fitness assessments and participate in regular weekly physical activity. This comprehensive health course provides students with essential knowledge and decision-making skills for a healthy lifestyle. Students will analyze aspects of emotional, social, and physical health and how these realms of health influence each other. Students will apply principles of health and wellness to their own lives. In addition, they will study behavior change and set goals to work on throughout the semester. Other topics of study include substance abuse, safety and injury prevention, environmental health, and consumer health. In this course, students explore a variety of career options related to the health care field, including medicine, nursing, physical therapy, pharmacy, dental careers, sports medicine, personal training, social work, psychology, and more. Students will learn about various options within each field, what each of these jobs entails, and the education and knowledge required to be successful. In addition, they will focus on basic job skills and information that would aid them in health care and other career paths. This comprehensive health and PE course provides students with essential knowledge and decision-making skills for a healthy lifestyle. Students will analyze aspects of emotional, social, and physical health and how these realms of health influence each other. Students will apply principles of health and wellness to their own lives. In addition, they will study behavior change and set goals to work on throughout the course. Other topics of study include substance abuse, safety and injury prevention, environmental health, and consumer health. This course focuses on the various responsibilities of a coach and the skills needed to successfully fill this important position. Throughout the course, students will explore various coaching models and leadership styles, sports nutrition and sports psychology, as well as safety, conditioning, and cross-training. Students will learn effective communication, problem-solving, and decision making skills. The course will also introduce students to game strategy, tactical strategy, skills-based training, and coaching ethics. This two semester course introduces students to the field of nursing. In the first semester students will learn about the history and evolution of nursing, education and licensure requirements, career path options, and nursing responsibilities. Students will also focus on foundational information such as basic anatomy, physiology, medical terminology, pharmacology, first aid, and disease prevention. In semester two students will examine various nursing theories, as well as focus on the nursing process, including assessment, diagnosis, and treatment options. Students will also learn about professional and legal standards and ethics. Additional skills of communication, teaching, time and stress management, patient safety, crisis management will be included. This two semester course introduces student s to the field of nursing. In the first semester students will learn about the history and evolution of nursing, education and licensure requirements, career path options, and nursing responsibilities. Students will also focus on foundational information such as basic anatomy, physiology, medical terminology, pharmacology, first aid, and disease prevention. In semester two students will examine various nursing theories, as well as focus on the nursing process, including assessment, diagnosis, and treatment options. Students will also learn about professional and legal standards and ethics. Additional skills of communication, teaching, time and stress management, patient safety, and crisis management will be included. This course provides students with an overview of dual and individual sports. Students learn about a variety of sports, and do an in-dept h study of martial arts, Pilates, fencing, gymnastics, and water sports. Students learn not only the history, rules, and guidelines of each sport, but practice specific skills related to many of these sports. Students also learn the components of fitness, benefits of fitness, safety and technique, and good nutrition. Students conduct fitness assessments, set goals, and participate in weekly physical activity. In this course students will be introduced to basic medical language and terminology that they would need to enter a health care field. Emphasis will be placed on definitions, proper usage, spelling, and pronunciation. They will study word structure and parts, including roots, prefixes, and suffixes, as well as symbols and abbreviations. They will examine medical terms from each of the body's main systems, including skeletal, muscular, cardiovascular, respiratory, digestive, urinary, nervous, endocrine, reproductive, and lymphatic systems, and sensory organs. In addition, students will learn proper terminology for common tests, procedures, pharmacology, disease, and conditions. This course takes students through a comprehensive study of nutritional principles and guidelines. Students will learn about world- wide views of nutrition, nutrient requirements, physiological processes, food labeling, healthy weight management, diet-related diseases, food handling, nutrition for different populations, and more. Students will gain important knowledge and skills to aid them in attaining and maintaining a healthy and nutritious lifestyle. This course provides students with an overview of dual and individual sports. Students learn about a variety of sports, and do an in- depth study of hiking and orienteering, golf, and dual volleyball. Students learn not only the history, rules, and guidelines of each sport, but practice specific skills related to many of these sports. Students also learn the FITT principles, benefits of fitness, and safety and technique. Students conduct fitness assessments, set goals, and participate in weekly physical activity. This combined health and PE course prov ides students with essential knowledge and decision-making skills for a healthy lifestyle. Students will analyze aspects of emotional, social, and physical health and how these realms of health influence each other. Students will apply principles of health and wellness to their own lives. In addition, they will study behavior change and set goals to work on throughout the course. Other topics of study include substance abuse, safety and injury prevention, environmental health, and consumer health. This course examines the role and responsibilities of a personal trainer. Students will learn the steps to become a personal trainer, including performing fitness assessments, designing safe and effective workouts, and proper nutrition principles. Concepts of communication and motivation will be discussed, as well as exercise modifications and adaptations for special populations. Students will also examine certification requirements, business and marketing procedures, and concerns about liability and ethics. In addition, throughout the course students will be able to explore various exercises, equipment, and tools that can be used for successful personal training. This course examines basic concepts in fitness that are important for personal fitness, as well as necessary foundational information for any health or exercise career field. Areas of study include musculoskeletal anatomy and physiology, terms of movement, basic biomechanics, health related components of fitness, FITT principles, functional fitness skills, safety and injury prevention, posture and technique, nutrition, and weight management. In this course, students will examine the functions of the body's biological systems--including skeletal, muscular, circulatory, respiratory, digestive, nervous, and reproductive systems. In addition to understanding the function of each system, students will learn the function of cells, blood, and sensory organs, as well as study DNA, immunity, and metabolic systems. This course is appropriate for beginning, intermediate, and advanced runners and offers a variety of training schedules for each. In addition to reviewing the fundamental principles of fitness, students learn about goals and motivation, levels of training, running mechanics, safety and injury prevent ion, appropriate attire, running in the elements, good nutrition and hydration, and effective cross-training. While this course focuses mainly on running for fun and fitness, it also briefly explores the realm of competitive racing. Students conduct fitness assessments and participate in weekly physical activity. In this course, students will learn the rules, game play, and guidelines for a variety of sports, including soccer, baseball, softball, basketball, volleyball, football, and tennis. In addition, they will learn the officiating calls and hand signals for each sport, as well as the role a sport official plays in maintaining fair play. This one-semester course by Carone Fitness focuses on the fitness components of muscular strength and endurance. Throughout this course students establish their fitness level, set goals, and design their own resistance training program. They study muscular anatomy and learn specific exercises to strengthen each muscle or muscle group. Students focus on proper posture and technique while training. They also gain an understanding of how to apply the FITT principles and other fundamental exercise principles, such as progression and overload, to strength training. This course helps students establish a regular walking program for health and fitness. Walking is appropriate for students of all fitness levels and is a great way to maintain a moderately active lifestyle. In addition to re viewing fundamental principles of fitness, students learn about goals and motivation, levels of training, walking mechanics, safety and injury prevention, appropriate attire, walking in the elements, good nutrition and hydration, and effective cross-training. Students take a pre- and post-fitness assessment. Throughout this course students also participate in a weekly fitness program involving walking, as well as elements of resistance training and flexibility. This course is based on a rigorously researched scope and sequence that covers the essential concepts of health. Students are provided with a variety of health concepts and demonstrate their understanding of those concepts through problem solving. The five units explore a wide variety of topics that include nutrition and fitness, disease and injury, development and sexuality, substance abuse, and mental and community health. This course’s three units include Getting Active, Improving Performance, and Lifestyle. Unit activities elevate students’ self-awareness of their health and well-being while examining topics such as diet and mental health and exploring websites and other resources. In addition to being effective as a stand-alone course, the components can be easily integrated into other health and wellness courses. ACCUPLACER tests provide information about academic skills and, in conjunction with a student’s academic background, are used by advisors to provide guidance on course selection. ACCUPLACER® is a registered trademark of the College Board, which was not involved in the production of, and does not endorse, this product. The ACT assesses high school students’ general educational development and their ability to complete college-level work. Our course prepares students to take the test by learning the content ideas they will be tested on. ACT and WORKKEYS are registered trademarks of ACT, Inc.
To generate skills for lifelong learning, 25 percent of the lessons in Advanced Biology use student-driven, constructivist approaches for concept development. The remaining lessons employ direct-instruction approaches. In both cases, the lessons incorporate multimedia-rich, interactive resources to make learning an engaging experience. The AP approach to advanced biology topics helps students achieve mastery of abstract concepts and their application in everyday life and in STEM-related professions. This course grounds the study of calculus in real-world scenarios and integrates it with the four STEM disciplines. The first semester covers functions, limits, derivatives and the application of derivatives. The course goes on to cover differentiation and antidifferentiation, applications of integration, inverse functions, and techniques of integration. Advanced Chemistry includes most of the 22 laboratory experiments recommended by the College Board to provide a complete advanced experience in a blended environment. More than 25 percent of the online lesson modules are inquiry-based and employ online simulations, data-based analysis, online data-based tools, and ―kitchen sink labs that require no specialized equipment or supervision. Many of the lessons include significant practice in stoichiometry and other critical, advanced chemistry skills. This course is designed to introduce students to the basic concepts of computer programming. Students learn how to compile and run a Java program. They learn to use arithmetic, relational, and logical operators. They learn to use different decision-making and loop statements. They learn to create classes, methods, String objects, and an ArrayList object. They learn to perform sequential search, binary search, selection sort, and insertion sort on an array. They learn to implement object-oriented programming design. They learn to implement inheritance, polymorphism, and abstraction. Further, they describe privacy and legality in the context of computing. Each unit of Advanced English Literature and Composition is based on a researched scope and sequence that covers the essential concepts of literature at an AP level. Students engage in in-depth analysis of literary works in order to provide both depth and breadth of coverage of the readings. Units include Close Analysis and Interpretation of Fiction, Short Fiction, the Novel, and Poetic Form and Content. Writing activities reinforce the reading activities and include writing arguments, analysis, interpretation, evaluation, and college application essays. This course develops critical thinking skills by encouraging multiple views as students realized that there are often multiple accounts of a single historical event that may not be entirely consistent. Electronic discussion groups encourage collaboration, and a variety of practice activities are provided, from multiple choice actions to advanced interactions. Units include: The Historical Process; Early America; Revolutionary America; The Civil War; Populism and Progressivism; the emergence of the U.S. as a world power; and contemporary themes. The ASVAB is a test developed and maintained by the Department of Defense. ASVAB scores count toward the Armed Forces Qualifying Test (AFQT) score. The HiSET exam measures the skills and knowledge similar to a high school course of study and allows learners to receive their high school equivalency certifications. 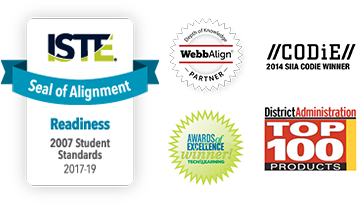 HiSET® is a registered trademark of the Educational Testing Service (ETS). This product is not endorsed or approved by ETS. Based on WorkKeys, the National Career Readiness Certificate is the recognized national standard for measuring fundamental employability skills and is a reliable predictor of workplace success. The GED exam measures the skills and knowledge similar to a high school course of study and allows learners to receive their high school equivalency certifications. GED® is a registered trademark of the American Council on Education (ACE) and administered exclusively by GED Testing Service, LLC under license. The GED® exam measures the skills and knowledge similar to a high school course of study and allows learners to receive their high school equivalency certifications. The SAT assesses academic readiness for college. It keeps pace with what colleges are looking for today, measuring the skills required for success in the 21st century. Our course prepares students to take the test by learning the content ideas they will be tested on. SAT® is a registered trademark of the College Board, which was not involved in the production of, and does not endorse, this product. The TASC™ exam measures the skills and knowledge similar to a high school course of study and allows learners to receive their high school equivalency certifications. Anthropology uses a broad approach to give students an understanding of our past, present, and future, and also addresses the problems humans face in biological, social, and cultural life. This course explores the evolution, similarity, and diversity of humankind through time. It looks at how we have evolved from a biologically and culturally weak species to one that has the ability to cause catastrophic change. Exciting online video journeys are just one of the powerful learning tools utilized in this course. This course continues the study of global cultures and the ways that humans have made sense of their world. It examines ways that cultures have understood and given meaning to different stages of life and death. The course also examines the creation of art within cultures and how cultures evolve and change over time. Finally, students apply the concepts and insights learned from the study of anthropology to several cultures found in the world today. The field of archaeology helps us better understand the events and societies of the past that have helped to shape the modern world. This course focuses on the techniques, methods, and theories that guide the study of the past. Students learn how archaeological research is conducted and interpreted, as well as how artifacts are located and preserved. Finally, students learn about the relationship of material items to culture and what we can learn about past societies from these items. In today’s world, biotechnology helps us grow food, fight diseases, and create alternative fuels. In this course, students will explore the science behind biotechnology and how this science is being used to solve medical and environmental problems. Interested in a career in cosmetology? This course provides an introduction to the basics of cosmetology. Students will explore career options in the field of cosmetology, learn about the common equipment and technologies used by cosmetologists, and examine the skills and characteristics that make someone a good cosmetologist. Students will also learn more about some of the common techniques used in caring for hair, nails, and skin in salons, spas, and other cosmetology related businesses. Crime and deviant behavior rank at or near the top of many people’s concerns. This course looks at possible explanations for crime from the standpoint of psychological, biological and sociological perspectives, explore the categories and social consequences of crime, and investigate how the criminal justice system handles not only criminals, but also their crimes. Why do some individuals commit crimes and others do not? What aspects in our culture and society promote crime and deviance? Why are different punishments given for the same crime? What factors shape the criminal case process? Digital Photography I focuses on the basics of photography, including building an understanding of aperture, shutter speed, lighting, and composition. Students will be introduced to the history of photography and basic camera functions. Students use basic techniques of composition and camera functions to build a personal portfolio of images, capturing people, landscapes, close-ups, and action photographs. In this course, we examine various aspects of professional photography, including the ethics of the profession, and examine some of the areas in which professional photographers may choose to specialize, such as wedding photography and product photography. Students also learn about some of the most respected professional photographers in history and how to critique photographs in order to better understand what creates an eye-catching photograph. Children experience enormous changes in the first few years of their lives. They learn to walk, talk, run, jump, read and write, among other milestones. Caregivers can help infants, toddlers, and children grow and develop in positive ways. This course is for students who want to influence the most important years of human development. In the course, students learn how to create fun and educational environments for children; how to keep the environment safe for children; and how to encourage the health and well-being of infants, toddlers, and school-aged children. What does it really take to own your own business? Does the sound of being your own boss make you feel excited or anxious? Either way, Entrepreneurship: Starting Your Business will get you started in the right direction. This course explains the ins and outs of such an enterprise, giving you the confidence needed to be your very own boss. You will discover what is needed to operate a personal business from creating a plan, generating financing, and pricing products to marketing services and managing employees. If you’ve ever dreamed of being a true entrepreneur but feel daunted by the prospect, this is your chance to learn all you need to know. In this unit, students are introduced to forensic science. We discuss what forensic science consists of and how the field developed through history. Topics covered include some of the responsibilities of forensic scientists and about some of the specialty areas that forensic scientists may work in. Objective and critical thinking questions are combined with lab activities to introduce students to analyzing the crime scene, a wide variety of physical evidence such as firearm and explosion evidence, and DNA evidence. Although the crime scene is the first step in solving crimes through forensic science, the crime laboratory plays a critical role in the analysis of evidence. This course focuses on the analysis of evidence and testing that takes place within the lab. It examines some of the basic scientific principles and knowledge that guide forensic laboratory processes, such as those testing DNA, toxicology, and material analysis. Techniques such as microscopy, chromatography, odontology, mineralogy, and spectroscopy will be examined. From vampires to ghosts, frightening stories have influenced fiction writers since the 18th century. This course focuses on the major themes found in Gothic literature and demonstrates how core writing drivers produce thrilling psychological environments for the reader. Terror versus horror, the influence of the supernatural, and descriptions of the difference between good and evil are just a few of the themes presented. By the time students have completed this course, they will have gained an understanding of and an appreciation for the complex nature of dark fiction. Is there life on other planets? What extremes can the human body endure? Can we solve the problem of global warming? Today, scientists, explorers, and writers are working to answer all of these questions. Like Edison, Einstein, Curie, and Newton, scientists of today are asking questions and working on problems that may revolutionize our lives and world. This course focuses on 10 of today’s greatest scientific minds. Each unit takes an in-depth look at one of these individuals, and shows how their ideas may help to shape tomorrow’s world. Holocaust education requires a comprehensive study of not only times, dates, and places, but also the motivation and ideology that allowed these events. In this course, students will study the history of anti-Semitism; the rise of the Nazi party; and the Holocaust, from its beginnings through liberation and the aftermath of the tragedy. The study of the Holocaust is a multi disciplinary one, integrating world history, geography, American history, and civics. Through this in-depth, semester-long study of the Holocaust, high school students will gain an understanding of the ramifications of prejudice and indifference, the potential for government-supported terror, and they will get glimpses of kindness and humanity in the worst of times. How do language, religion, and landscape affect the physical environment? How do geography, weather, and location affect customs and lifestyle? Students will explore the diverse ways in which people affect the world around them and how they are affected by their surroundings. Students will discover how ideas spread and cultures form, and learn how beliefs and architecture are part of a larger culture complex. In addition to introducing students to the field of Human Geography, this course will teach students how to analyze humans and their environments. From geography to culture, Global Business is an exciting topic. This course helps students develop the appreciation, knowledge, skills, and abilities needed to live and work in a global marketplace. Business structures, global entrepreneurship, business management, marketing, and the challenges of managing international organizations are all explored in this course. Students cultivate an awareness of how history, geography, language, cultural studies, research skills, and continuing education are important in business activities and the 21st century. Food is fundamental to life. Not only does it feed our bodies, but it’s often the centerpiece for family gatherings and social functions with friends. In this course, you will learn all about food including food culture, food history, food safety, and current food trends. You’ll also learn about the food service industry and try your hand at preparing some culinary delights. Through hands-on activities and in-depth study of the culinary arts field, this course will help you hone your cooking skills and give you the opportunity to explore careers in this exciting industry. Think about the last time you visited your favorite store. Now picture the infinite number of products you see. Have you ever wondered how all those things actually made it to the shelves? Whether video games, clothing, or sports equipment, the goods we purchase must go through a manufacturing process before they can be marketed and sold. In Introduction to Manufacturing: Product Design and Innovation, you will learn about the different types of manufacturing systems used to create the everyday products we depend on. Discover the various career opportunities in the manufacturing industry, including those for engineers, technicians, and supervisors. As a culminating project, you will plan your own manufacturing process and create an entirely original product! If you thought manufacturing was little more than mundane assembly lines, this course will show you just how exciting, creative, and practical this industry can be. Have a Facebook account? What about Twitter? Whether you’ve already dipped your toes in the waters of social media or are still standing on the shore wondering what to make of it all, learning how to interact on various social media platforms is crucial in order to survive and thrive in this age of digital communication. In this course, you’ll learn the ins and outs of social media platforms such as Facebook, Twitter, Pinterest, Google+, and more. You’ll also discover other types of social media you may not have been aware of and how to use them for your benefit—personally, academically, and eventually professionally as well. If you thought social media platforms were just a place to keep track of friends and share personal photos, this course 0will show you how to use these resources in much more powerful ways. From traffic laws to regulations on how the government operates, laws help provide society with order and structure. Our lives are guided and regulated by our society’s legal expectations. Consumer laws help protect us from faulty goods; criminal laws help to protect society from individuals who harm others; and family law handles the arrangements and issues that arise in areas like divorce and child custody. This course focuses on the creation and application of laws in various areas of society. “A picture is worth a thousand words.” Photographs play an important role in our world today. We photograph to preserve memories, document events, and create artistic works. This course introduces students to the basics of photography, including camera functions and photo composition. Students will learn what it takes to create a good photograph and how to improve photographs of animals, people, and vacations. They will also begin working with their photographs using photo-editing software. Through a variety of assigned projects, students will engage their creativity by photographing a range of subjects and learning to see the world through the lens of their cameras. Music is part of everyday life and reflects the spirit of our human condition. To know and understand music, we distinguish and identify cultures on local and global levels. This course provides students with an aesthetic and historical perspective of music, covering a variety of styles and developments from the Middle Ages through the 21st Century. Students acquire basic knowledge and listening skills, making their future music experiences more informed and enriching. Helping people achieve their goals is one of the most rewarding of human experiences. Peer counselors help individuals reach their goals by offering them support, encouragement, and resource information. This course explains the role of a peer counselor, teaches the observation, listening, and emphatic communication skills that counselors need, and provides basic training in conflict resolution, and group leadership. Not only will this course prepare you for working as apeer counselor, but the skills taught will enhance your ability to communicate effectively in your personal and work relationships. How do personal financial habits affect students’ financial futures? How can they make smart decisions with money in the areas of saving, spending, and investing? This course introduces students to basic financial habits such as setting financial goals, budgeting, and creating financial plans. Students learn about topics such as taxation, financial institutions, credit, and money management. The course also addresses how occupations and educational choices can influence personal financial planning, and how individuals can protect themselves from identity theft. Self-knowledge is the key to self-improvement. More than 800,000 high school students take psychology classes each year. Among the different reasons, there is usually the common theme of self-discovery. Sample topics include the study of infancy, childhood, adolescence, perception and states of consciousness. The course features amazing online psychology experiments dealing with our own personal behavior. This course enriches the quality of students’ lives by teaching them to understand the actions of others. Topics include the study of memory, intelligence, emotion, health, stress and personality. This courses features exciting online psychology experiments involving the world around us. This course is an exciting adventure that covers more than 2,500 years of history. Despite their sometimes odd behavior, philosophers of the Western world are among the most brilliant and influential thinkers of all time. As students learn about these great thinkers, they’ll come to see how and where many of the most fundamental ideas of Western Civilization originated. They’ll also get a chance to consider some of the same questions these great thinkers pondered. Ambulances scream along, heading toward those in need. But who makes sure someone is there to answer the 9-1-1 call? When you pick up a prescription or take a pill, who has determined that drug is safe for the public? All of these duties are imperative to our comfort and success as a society and an essential part of public service, a field that focuses on building a safe and healthy world. Principles of Public Service: To Serve and Protect will introduce you to many different careers in this profession and illustrate how they all work together to provide for the common good. The protection of society is one of our greatest challenges, and public service provides a way for people to work together, ensure safety, and provide an indispensable service to those around us. If you’ve ever contemplated being one of these real-life heroes, now is the time to learn more. What is the best way to care for children and teach them self-confidence and a sense of responsibility? Parenting involves more than having a child and providing food and shelter. Students learn what to prepare for, what to expect, and what vital steps parents can take to create the best environment for their children. Parenting roles and responsibilities, nurturing and protective environments for children, positive parenting strategies, and effective communication in parent/child relationships are other topics covered in this course. This course introduces students to the topic of social problems. The initial unit helps students develop an understanding of social problems, some of the characteristics common to many of them, and how those problems evolve. Social Problems 1 makes use of labs, discussions, and other learning modalities to maximize effective learning. The course looks closely at the problem of poverty and its root causes, as well as problems in education. It also examines the problem of crime, what has historically succeeded and failed in addressing it, and how to move society forward in effectively mitigating the problem. Building on the mastery of basics students acquire in Social Problems 1, this course explores issues such as globalization, alcohol and drug abuse, gangs and cults, and the ever-present and growing issue of personal privacy and its related complexities. It also addresses issues of nutrition and health, and their impact on society's wellbeing. Discussion questions encourage the development of critical thinking skills, and better equips students for college and career by helping them better understand the issues affecting themselves and their world. The world is becoming more complex. How do beliefs, values and behaviors affect people and the world in which we live? Students examine social problems in our increasingly connected world, and learn how human relationships can strongly influence and impact their lives. Exciting online video journeys are an important component of this relevant and engaging course. Sociology is the study of people, social life, and society. By developing a “sociological imagination” students are able to examine how society itself shapes human action and beliefs, and how in turn these factors re-shape society itself. Fascinating online video journeys will not only inform students, but motivate them to seek more knowledge on their own. Have you ever wished to play sports professionally? Have you dreamed of one day becoming an agent for a celebrity entertainer? If you answered yes to either question, then believe it or not, you’ve been fantasizing about entering the exciting world of sports and entertainment marketing. Although this particular form of marketing bears some resemblance to traditional marketing, there are many differences as well—including a lot more glitz and glamour! In this course, you’ll have the opportunity to explore basic marketing principles and delve deeper into the multi-billion dollar sports and entertainment marketing industry. You’ll learn about how professional athletes, sports teams, and well known entertainers are marketed as commodities and how some of them become billionaires as a result. If you’ve ever wondered about how things work behind the scenes of a major sporting event such as the Super Bowl or even entertained the idea of playing a role in such an event, then this course will introduce you to the fundamentals of such a career. As animals play an increasingly important role in our lives, scientists have sought to learn more about their health and well-being. This course examines some of the common diseases and treatments for domestic animals. Toxins, parasites, and infectious diseases impact not only the animals around us, but at times humans as well. Through veterinary medicine and science, the prevention and treatment of diseases and health issues is studied and applied. Throughout the ages, religions have shaped the political, social, and cultural aspects of societies. This course focuses on the major religions that have played a role in human history, including Buddhism, Christianity, Confucianism, Hinduism, Islam, Judaism, Shintoism, and Taosim. Students trace major developments in these religions and explore their relationships with social institutions and culture. The course also discusses some of the similarities and differences among the major religions and examines their related connections and differences.